Disney has some form of VR content on the way to the Oculus Rift and Gear VR before the end of the year, but this new project from the company’s Research division looks like something else entirely. Last week the popular film studio published a paper for ‘VR360HD’, which it described as a “VR360° Player with Enhanced Haptic Feedback”. Through a combination of software and custom hardware, Disney Research is working on experiences in which you can feel VR movies as they play out around you using the Unity engine and a Gear VR with a Samsung Galaxy S6 Edge. The paper details a ‘Haptic Chair’ that extends feedback beyond what you’ll get with position-tracked controllers like Oculus Touch and the Vive wands. The chair is fitted with six vibrotactile actuators on the back and two subwoofers on the seat and back that researchers claim “cover a significant portion of the human body” and could be applied to a range of seating options. A haptic playback and authoring plugin for Unity allows filmmakers to tailor feedback to their experience. Currently the system can produce five effects. Location-based feedback would be able to tell you when and where someone is touching you on the back, and making movements in a line would give the sensation of something running along you. Random vibrations could give the effect of rainfall, while pulses and rumbles might provide a deeper sense of immersion to loud actions within an experience. The paper doesn’t outline exactly what use Disney might have for such a device, though we could easily see it being used in location-based VR experiences if not sold as a peripheral for VR headset owners. Perhaps the company could use the system to showcase its own Gear VR content, which was announced in partnership with Oculus back at the company’s Connect developer conference in October. 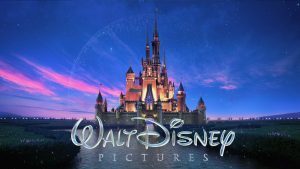 Disney engineered the system for VR movies, though it is noted that the concept is usable with games, and other experiences like social networking.